According to his family, Junaid Khan was arrested under the IT Act and charged with sedition for having become the 'default admin' of a WhatsApp group which had forwarded a controversial message. 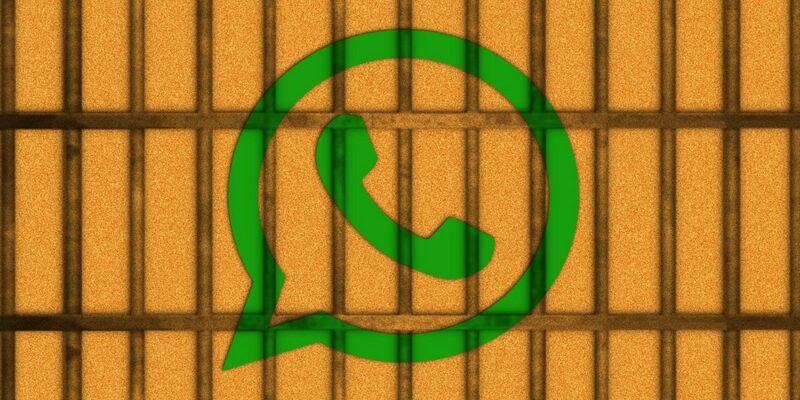 New Delhi: For essentially becoming the administrator of a WhatsApp group by ‘default’, a 21-year-old in Madhya Pradesh’s Rajgarh district has been languishing in jail for the past five months. Junaid Khan was arrested in February this year after a WhatsApp group he was part of caught attention after one Irfan sent an objectionable forward on it. Locals filed a complaint at Talen police station, and a case was registered against Junaid and Irfan. A B.Sc student and a resident of Talen, Junaid was then registered under the Information Technology (IT) Act, as well as IPC Section 124A or charges of sedition on February 14, 2018. His family, however, contests the charges. According to them, Junaid only became an admin of the group “by default”. After there had been some complaints about the controversial message, Irfan had quit the group, as did the admin at the time. WhatsApp’s default rules then left Junaid as the admin. “Junaid was a member of the group, but not the admin. When the matter came to light, he was in Ratlam on family work. It was then that the admin left the group. Another member became admin by default, but he too quit. Junaid became group admin by default. But he was not the admin when the post was originally shared,” Junaid’s cousin Farukh Khan told the Times of India. “Irfan was also arrested and when the matter came to our cognisance, Junaid was the admin of the group. There was no evidence or any other way to ascertain at that time who was the admin of the group when the post was shared by Irfan. We filed the challan on the basis of the evidence available with us,” he said. There have been many instances of the IT Act being used to curb opinions considered offensive, particularly to politicians. Notoriously, the controversial Section 66A of the IT Act concerning “grossly offensive messages” sent by computer or communication devices was taken up by the Supreme Court in 2015 following a slew of petitions against it. It began with a PIL filed in 2012 by law student Shreya Singhal regarding a case in Thane, Maharashtra where the police had arrested two girls after one posted a comment against the shutdown in Mumbai following Shiv Sena leader Bal Thackeray’s death and the other ‘liked’ it. Section 66A was struck down by the Supreme Court on grounds of being vaguely worded: its subjectivity thus posed a threat to the free speech rights of citizens. However, despite the Supreme Court judgement, cases continue to be filed under different sections of the IT Act. As reported by The Wire, Section 67 has been increasingly used for cases similar to those under 66A in the past. For instance, one Ajay Hatewar was booked under the Section 67A for defamatory comments on a photo of Maharashtra chief minister Devendra Fadnavis where the politician was pictured on yacht, while a youth from Tamil Nadu was arrested for allegedly making abusive comments about Prime Minister Narendra Modi in a private Facebook conversation. The first reported incident where a WhatsApp group admin was arrested for a message that they did not send also fell under the IT Act. Karnataka police arrested Krishna Sanna Thamma Naik in May, 2017, for being the admin of a group on which another member shared obscene content involving Prime Minister Modi. Other cases that followed have fallen under different charges. Recently, Section 153A and Section 505 of the IPC have been used to charge WhatsApp admins. The former, which prohibits hate speech as well as actions or communication that fosters enmity, and the latter, which punishes statements amounting to public mischief, have ramifications similar to Section 66A, but are non-bailable offences. For instance, in February 2018, a resident of the Kasganj district of Agra was arrested under section 505 after an inflammatory post was shared to provoke enmity between two religious groups. Early in July 2018, the police charged two young men under section 505 (1) for allegedly being the admins of a group on which communal images were shared. As these cases against WhatsApp group admins grow common, there are differing opinions on the charges of sedition on Junaid. The Supreme Court earlier cautioned the police against misuse of the sedition laws. It declared that all authorities would be bound by the Kedar Nath judgement of the apex court, which limits the scope of filing sedition cases under the provisions of the IPC. This was in response to an argument made by senior advocate Prashant Bhushan that sedition laws were being misused, misapplied and abused by authorities. Bhushan was representing petitioners concerned by the increasing amount of sedition cases across India. “The second issue here is that we cannot rely on WhatsApp admins to judge the legality of the message since they do not have the understanding of the law. They are more likely to err on the side of caution, and if they are held liable, then it’s likely that they will end up censoring legitimate speech to protect themselves,” he said.